Lamb carries with it certain religious connotations, with the sacrificial lamb remembered in celebrations of both Passover and Easter. Because of this significance roast lamb has become firmly entrenched as the Easter meal, long predating the vast, golden turkeys of Christmas. 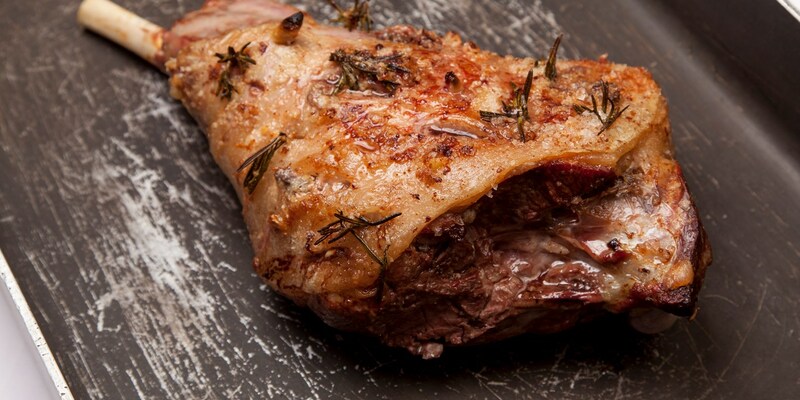 This collection of roast lamb recipes contains some fantastic ideas for Easter lunch, perfect for lining your stomach in preparation for an afternoon of chocolate eggs and too much cake. Shaun Rankin's Roast leg of lamb recipe with a stunning side of minted Jersey Royals is a celebration of spring ingredients, as is Alan Murchison's Lamb rump with wild garlic and pea purée. If you're looking to experiment a little with flavours this year try Danny Kingston's Lamb kleftiko, inspired by his holidays in Greece, or Anna Hansen's Baharat and lemon marinated lamb recipe, served with spicy sweet potatoes and a striking black sesame sauce.